At the end of the 20th century, civil investing emerged as one of the most important developments in American philanthropy. Not quite a philosophy, not quite a grantmaking strategy, and not quite a type of grant, civil investing can be broadly defined as the use of philanthropic resources for building community and strengthening public life. 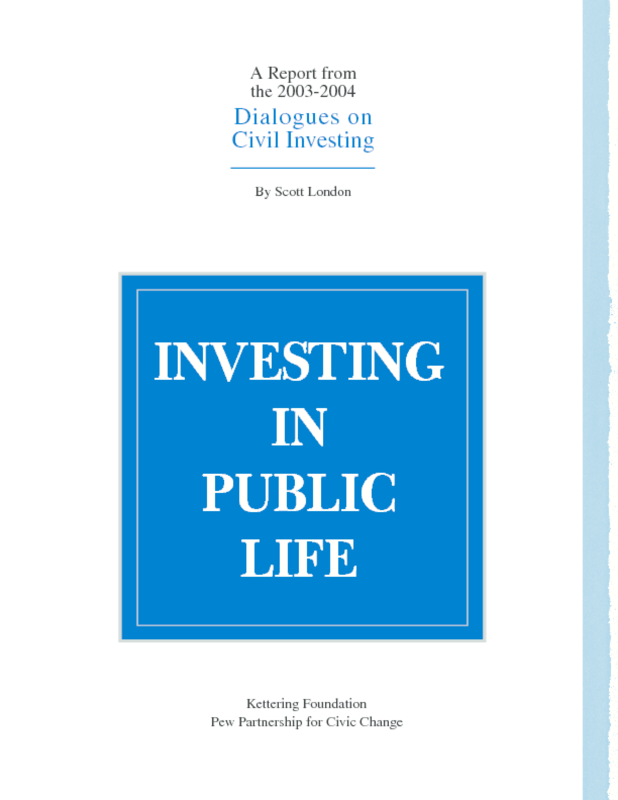 This is a report of the 2003 -- 2004 Dialogues on Civil Investing, which brought together foundation executives, community leaders, and nonprofit directors to identify common concerns and develop joint strategies for a new and different kind of grantmaking.